An increasing number of companies now see their proxy statements as another important tool for communicating with shareholders and are taking steps to revitalize them. We talked with Adam Kramer, Corporate Secretary and VP for Public Law at KBR, Inc., about their proxy re-design experience. 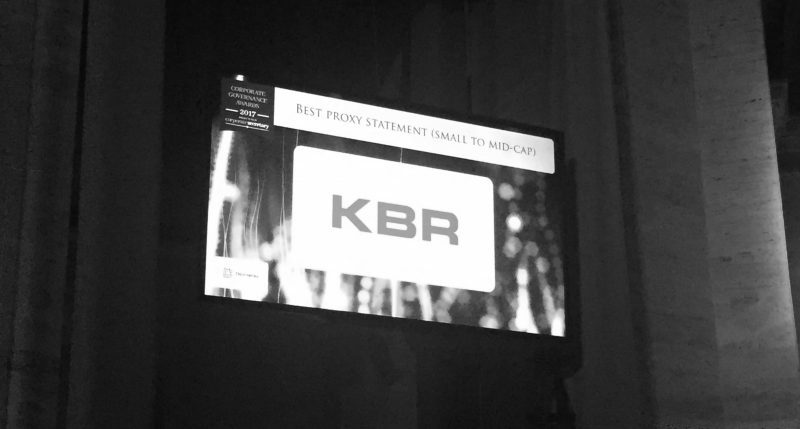 KBR was recognized for best proxy at Corporate Secretary’s Corporate Governance Awards in 2017. What were the benefits for KBR and for your team? Some companies have been hesitant about investing the time to change how they disclose their information. What’s your reaction? What’s the first step to redesigning your disclosure? How was your experience using the EOL collaborative platform to create your proxy?